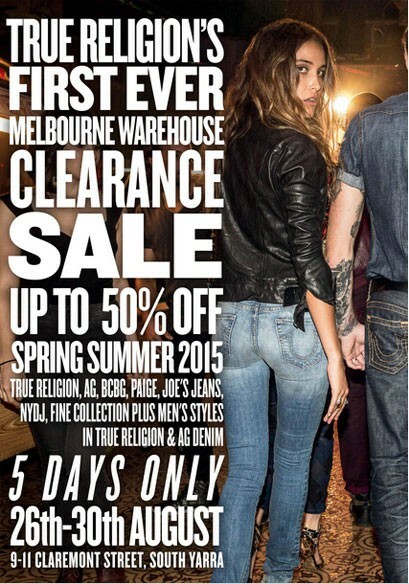 Don't miss True Religion's first ever Melbourne warehouse clearance. Men's stock available in True Religion an AG. All stock is Spring Summer 15 out of the U.S.